The RVA East End Festival: The Gift of Arts and Music will be an inclusive community celebration highlighting the diverse neighborhoods and unique quality of Richmond’s East End. Proceeds from the festival will be used to support and enhance music education in Richmond Public Schools East End. Performances by the Richmond Symphony and many more will take place during the two-day neighborhood festival devoted to the arts. Other activities include a variety of performances by local artists and schools, a kids activities, food trucks, beer garden and vendor booths. Bring your lawn chair and enjoy the music! Festival admittance is free and open to the public. Friday, May 5 5 pm | Roxbury-Opening Act 6 pm | Richmond Symphony with Virginia Rep performing selections from Beauty and the Beast + a special encore performance by Roxbury! Saturday, May 6 | 5-8 pm Ball & Chain Lillie Jones Richmond Urban Dance with the Cheats Movement Saint Square Mahogany Soul *Lineup subject to change. VOLUNTEER OPPORTUNITIES | Volunteers are a vital component to the success of community festivals. From set-up to tear-down and everything in between there is a volunteer opportunity to fit your skill set! Volunteer opportunities include event set-up, check-in, beer and wine service, bucket collections, survey distribution, kids activity assistant and more! PERFORMERS | Application process is now closed for performers. Thank you for your interest. 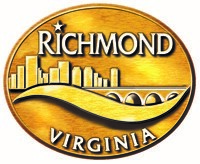 The RVA East End Festival 2017 in conjunction with the Richmond Symphony seeks to showcase talented artists, outstanding school programs and exceptional community groups during this 2-day festival. SUPPORT | Help support the RVA East End Festival in 2017 by making a donation! VENDORS | Application process is now closed for vendors. Thank you for your interest.